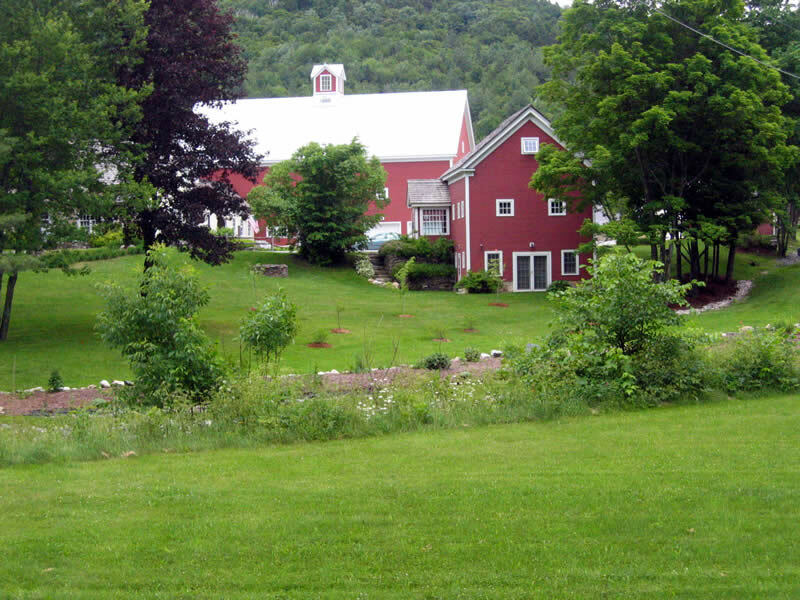 100/200 RIDE VERMONT IN A DAY! We've found that almost any experienced cyclist in good shape can complete this ride. It's a tough double century, but there are many rides that are much, much worse and/or longer. Many people who have ridden it have never done a double century before, a few had never even done a century, though this is not recommended! Start your spring training no later than early April, gradually increasing your distance so that by late May you can complete a century. Show up at some of your local club rides, to sharpen your skills riding with a group. Be sure to get in some good climbs. If you are in the Burlington area, rides that take in Appalachian Gap, Smugglers' Notch, or Middlebury Gap are good training. According to RAAM champion Pete Penseyres, "You simply identify your target event on a calendar, back off six to eight weeks, and do weekly long rides building up to 75% of your target distance." Ramp up your miles gradually so that you do not injure yourself through over-training, and use the weeks before May to build up your base. Commute by bike to work. You'll be amazed at how much this will help your training. It's all about MITS (Miles In The Saddle). 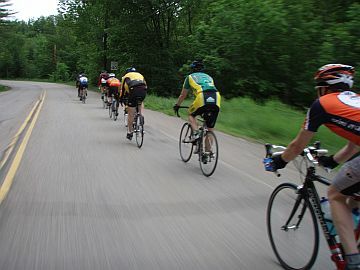 If you can't commute, get in at least 4 rides of 30+ hard miles each week, with at least one ride of 50 miles or more each week, gradually increasing in distance. Don't have much time for riding? Recent research by Chris Charmichael and others indicates that a series of very high-intensity efforts, as short as 30 seconds in length, followed by 2-4 minutes of recovery, can have the same benefit as a much longer, lower intensity effort. Do your homework, but remember, strong legs and the ability to stay in the saddle for 200 miles are not the same thing! A mix of LSD (Long, Steady Distance) and high-intensity training is best for most riders. Take it easy the week before the event. This will give your body a chance to recover and build itself up before the big day. Eat wisely. Get lots of sleep. Make sure your bike is 100% ready. You don't need a fancy bike, just a decent, dependable machine with good tires and equipment. We rode the 100/200 on the 1980s on bikes that lacked index shifting and clipless pedals, when carbon fiber and titanium were still considered exotic aerospace materials. I've found that 39x26 gearing works okay for me, but lower gears are nice on the climbs towards the end of the ride. Pack a multi-tool and equipment to fix a flat and to make simple repairs and some cash in case you bonk near one of the many general stores on the route. Dual water bottles are recommended, but you shouldn't have problems getting your water bottle topped off when necessary. Choose the bike you want to be riding the second hundred miles. Don't use a brand new saddle or shoes the day of the ride! More information on training for centuries and double-centuries is available online. 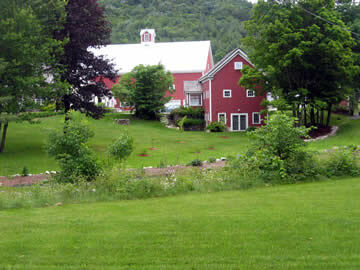 Information on true randonee events in Vermont and New England is available at Berkshire Brevets. I like this short aticle from Road Bike Action. The Ugly Middle: This is what ultra-cyclists call the stretch between 80 and 120 miles in the ride, where the majority of DNFs occur. 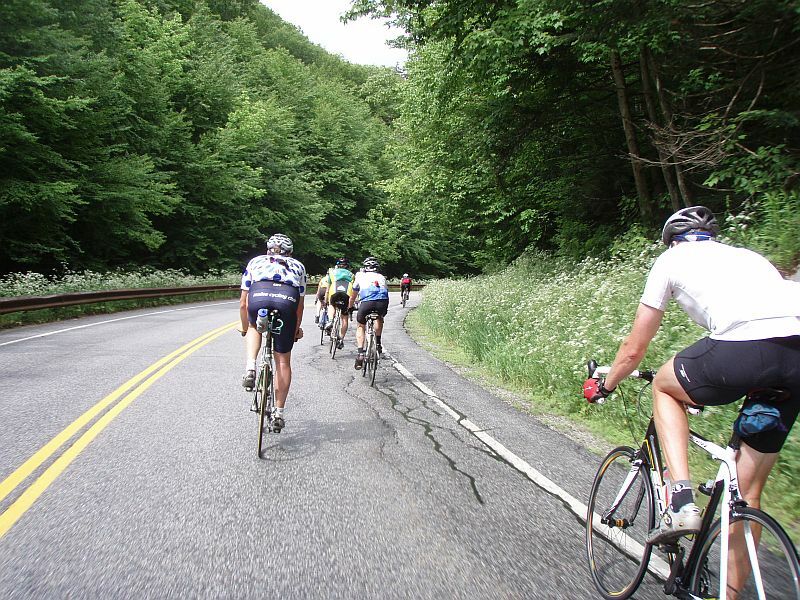 We think it helps if you're prepared for it, so expect this to happen after the Killington climb. Killington is long and wearing. It's shady, but you've ridden over 100 miles--perhaps too quickly--and you're likely to have doubts that you have the legs left for both Terrible Mtn and Mt Snow. After the US-4 descent, you turn south in Bridgewater and there are two things that sap your spirit. First, there always seems to be a headwind here, and the sun is overhead. Second, it begins with a long, deceptive uphill. It looks flat, but seems so hard to ride on pace. By the time you get to Ludlow and the feared Terrible Mountain climb, you may have convinced yourself that it would be better to come back and try it again some other year. In 2011, racers Ted King, Tim Johnson and Ryan Kelly rode almost the same route at something approaching a race pace and blogged about the experience. Their reports and video make for great entertainment, but remember, you can do this ride with a lot less pain! 200 on 100: "A Dumptruck of Awesome"
In 2015, just two weeks after the 100/200, Ted King, Tim Johnson, and a morphing entourage of fellow riders and supporters again did the route at race pace--basically a team time trial with a few breaks. They rode through the 10-mile construction zone, sans asphalt, up the Mt. 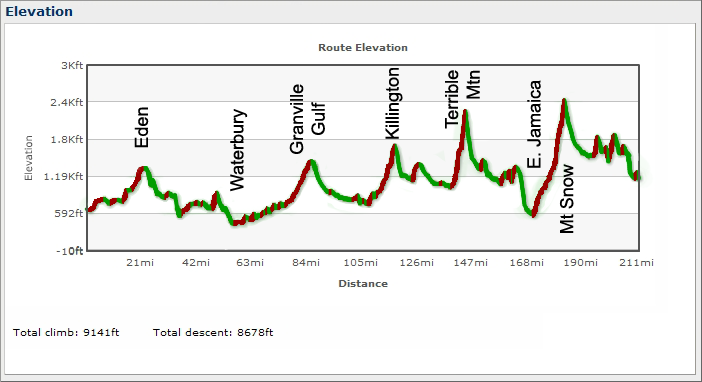 Snow climb, and even added in the VT-100 "dog-leg," instead of ending south of Readsboro, yet still finished the 216 miles in nine and a half hours of ride time. Trying to keep up with this crew is an amazing, if futile experience for we mere mortals! Chip Engler's time lapse video -- Hard to watch! POMG's 2-day version, for those of increased sanity. Let them know you're interested, as they don't run it every year.